Bill 148 – Fair Workplaces, Better Jobs Act, 2017: This legislation received Royal Asent on November 27. The Act raises the minimum wage, and expands personal emergency leave. The minimum wage will increase to $14 an hour on January 1, 2018, and to $15 an hour on January 1, 2019. View OCSTA’s July 2017 submission. Bill 142 Construction Lien Act: This bill updates and regulates the way payments are made in the construction industry. This includes new rules for payment timelines for construction projects and new dispute resolution processes. The concerns for school boards relate to the compressed timelines, associated prompt payment requirements, and rules in respect of surety bonding on public sector projects above certain amounts. For more detailed information see the government backgrounder on “Proposed Updates to the Construction Lien Act“. The 2017 Annual Report of the Auditor General of Ontario was made public on December 6, after it was tabled in the Ontario Legislature. To view the section that pertains to education click here. To view the Minister of Education’s statement in response to the report click here. The production of a new video about the role and experience of the religious orders who worked so diligently and sacrificed so much for the sake of the survival and growth of publicly funded Catholic education in Ontario was introduced at the recent ICE Symposium. We are pleased to share that video with our members now (click on video under title above). Trustee Panel: OCSTA President and Hamilton-Wentworth CDSB Chair, Patrick Daly with OCSTA Director and PVNC CDSB Chair, Michelle Griepsma. 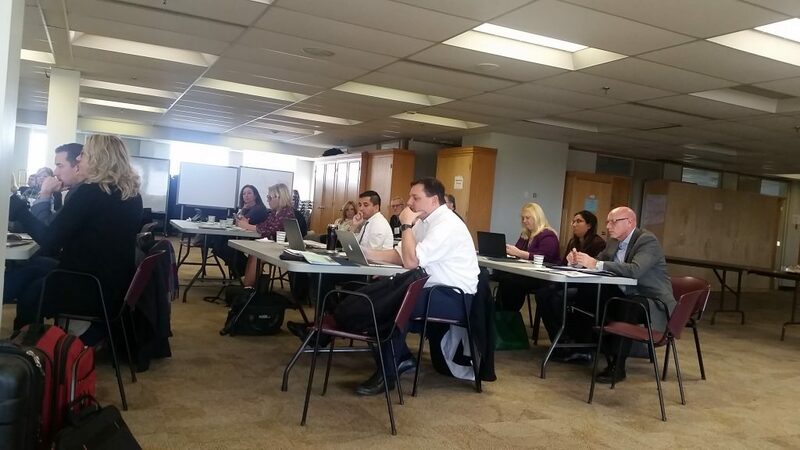 On November 24, OCSTA hosted the annual Communications Seminar for CDSB communications staff. This year’s program included an informative Catholic trustee panel that provided trustee perspectives on the role of school board communications staff in advancing current CDSB goals. 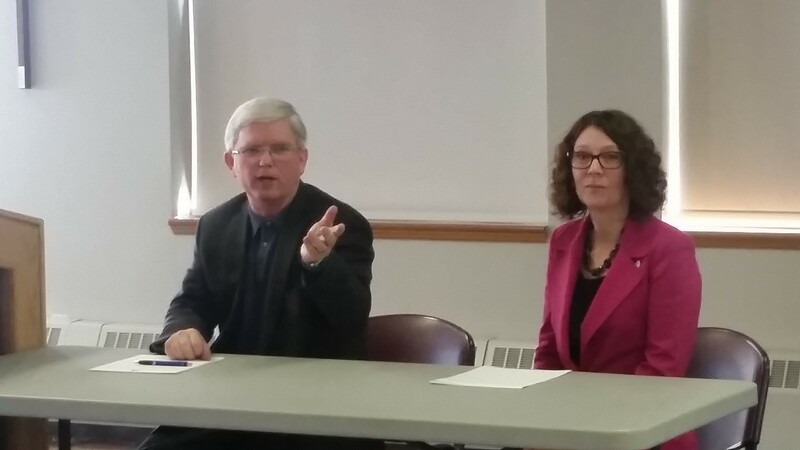 Included on the panel were OCSTA President and Chair of the Hamilton-Wentworth CDSB, Patrick Daly and OCSTA Director and Chair of the Peterborough Victoria Northumberland & Clarington CDSB, Michelle Griepsma. In addition to roundtable discussions and sharing of initiatives and programs, the seminar also included a final presentation entitled “Innovative Strategies for Connecting with External Audiences”. In this session Manager of Communications & Community Relations for the Brant Haldimand Norfolk CDSB, Tracey Austin discussed an award winning communications initiative, developed in partnership ith the Brant Haldmand Norfolk’s coterminous board to address school board transportation communications to parents and the community. The other presenter on this panel was Director of Marketing & Communications for the Region of Peel, Lisa Duarte who discussed the Region’s rebranding efforts and creative initiatives around recycling that has successfully engaged residents in Peel Region. We’d like to extend our sincere gratitude to all our exceptional presenters at this year’s Communications Seminar and to the Dufferin-Peel CDSB for kindly agreeing to host this year’s event. drawings will appear in The Register’s Christmas edition, Dec. 24. • The contest is open to children enrolled in Grades 1-8.
some aspect of the birth of Jesus at the first Christmas in Bethlehem. • For electronic submissions: minimum resolution 300dpi, in jpeg or PDF format. of a parent or guardian. Entries become the property of The Catholic Register. • Submission deadline is noon December 15, 2017. To help promote the CCSTA Toonies for Tuition initiative, CCSTA is reaching out to young artists from across the country who interested in creating and designing a Toonies for Tuition logo and poster that speaks to the cause. 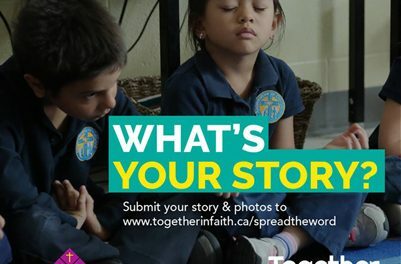 The contest is open to all students enrolled in a Catholic school in Canada. The contest will run from Dec. 1, 2017-Feb. 28, 2018 and the winner will be announced in the New Year. The winner will receive a Best Buy gift card for $200. 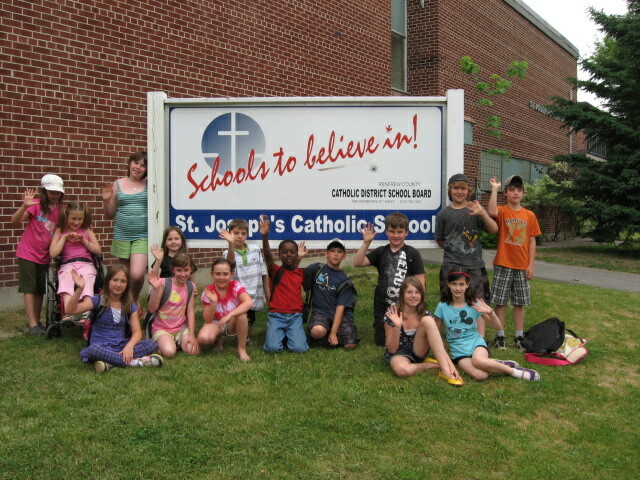 And if a class collaborates on the logo and poster design and wins, CCSTA will provide a $400 Best Buy gift card. For more information, please refer to the article on the CCSTA website.